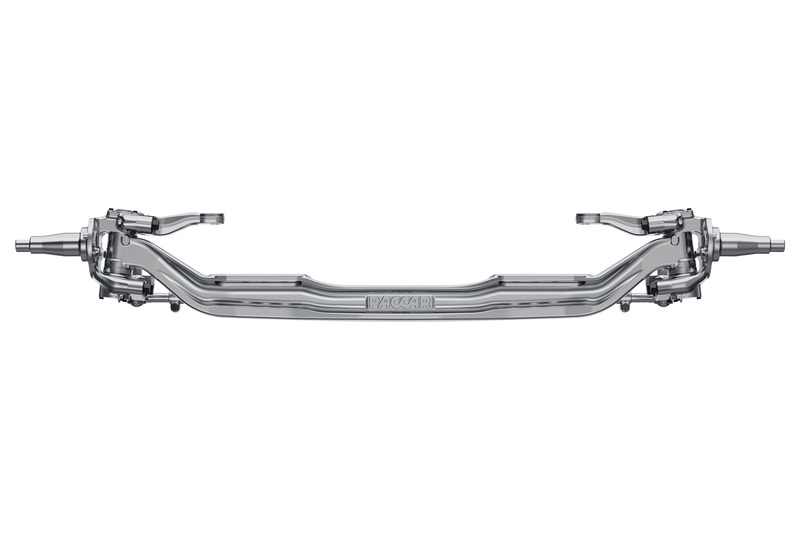 PACCAR Introduces Proprietary Front Axle in North America - DAF Trucks N.V.
PACCAR (Nasdaq:PCAR) is introducing a new proprietary front axle for its Kenworth and Peterbilt vehicles in the third quarter of 2017. The PACCAR axle is designed for construction and vocational applications that support infrastructure investments. “PACCAR is pleased to introduce its front axle to enhance customer vehicle payload and complement the superior performance of our PACCAR Powertrain,” said Landon Sproull, PACCAR vice president. The PACCAR front axle improves steering efficiency and load carrying capacity for customers. “The PACCAR front axle is available with ratings of 20,000 or 22,000 pounds and uses an innovative tapered kingpin roller bearing which simplifies the design and delivers enhanced steering efficiency,” noted Sproull. The PACCAR front axle offers steering angles up to 50 degrees and has a five year or 750,000 mile warranty.